The truth is, I honestly enjoy hanging out with my folks. And if it weren’t for family, we wouldn’t be able to give our kids a healthy dose of Vitamin D every summer. The heat, the swimming, the fresh produce, the fireworks, my dad’s cooking… it’s glorious. The weather is important, but the real reason we go back is for the grandparents. 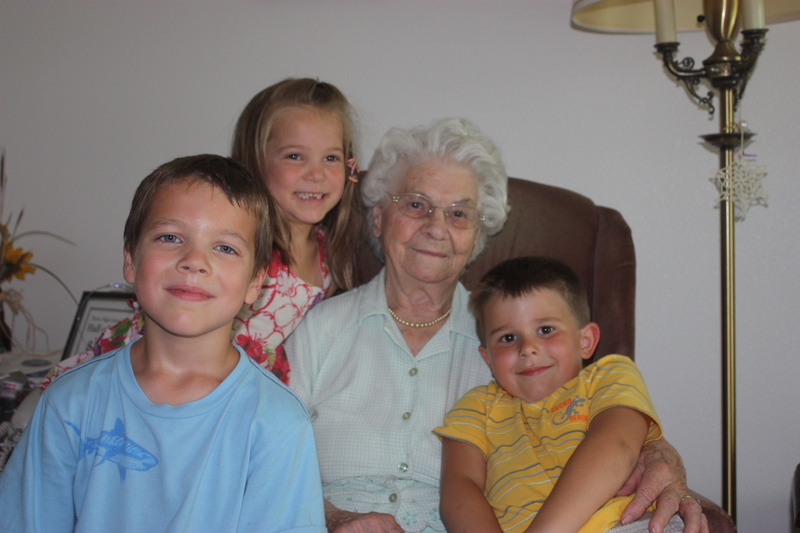 Our children are blessed to still have three great-grandmothers, two grandmothers, and one grandfather. For as long as we are able, we will do all that we can to make sure they know and remember these special people in their lives. Clark has great memories of going to his grandparents’ farm – just today he was telling the kids a story about giant green apples (he says they were as big as his face) that grew there. One time he climbed that apple tree and ate so many that he got sick! I have some great memories of his grandparents too. My favorite memory about his grandmother is from her visit to Alaska: she was 88-years-old and up for the adventure of a Kenai river float trip. When we got to the river and inflated our 14 foot raft, she let out a sigh of relief at how stable it looked. “Well, like something from Huck Finn,” she replied. “And you were still willing to come?!? !” I was shocked! Sophie Retzlaff – Clark’s maternal grandmother. On the Quigley side, I can recall spending every Christmas Eve and so many birthday parties with my grandparents. It was a huge family, with cousins galore, so there were parties every month. To this day, my grandmother never misses a birthday or anniversary. 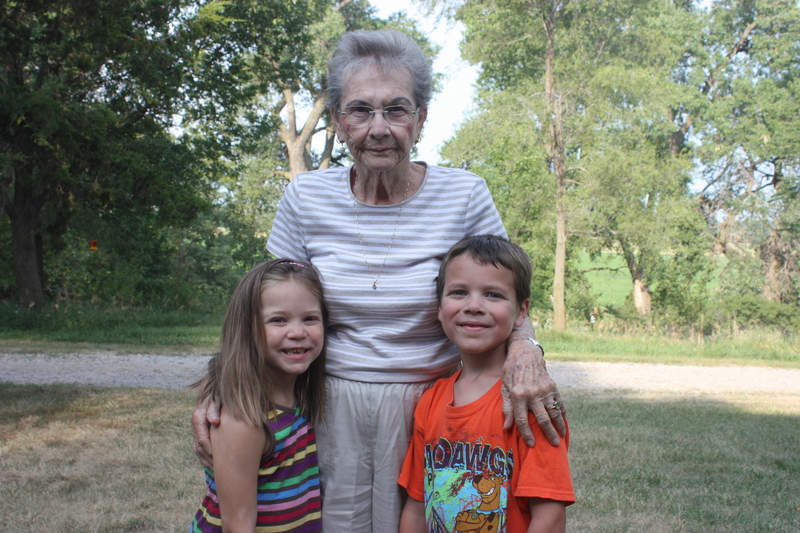 Even with over a dozen great-grandchildren, she gets a card in the mail on time, every time! 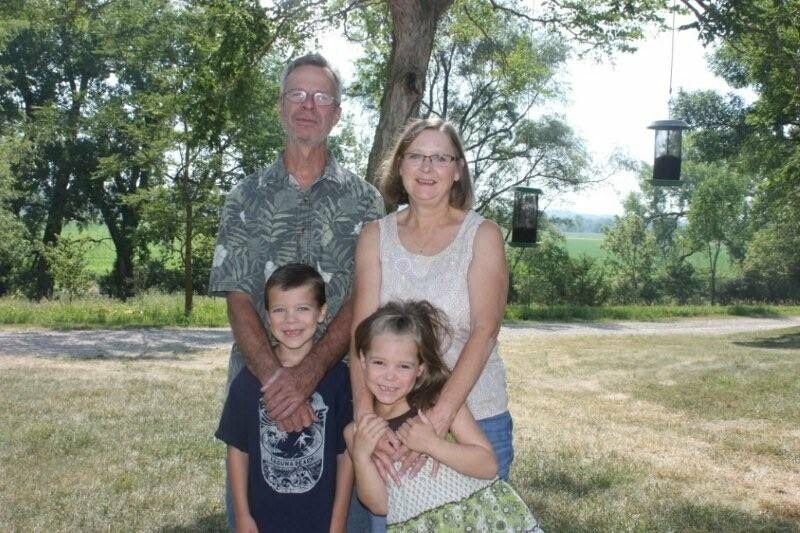 My Grandma and Grandpa Daehnke’s house was like a second home to my brother and I when we were young. They often picked us up from school. 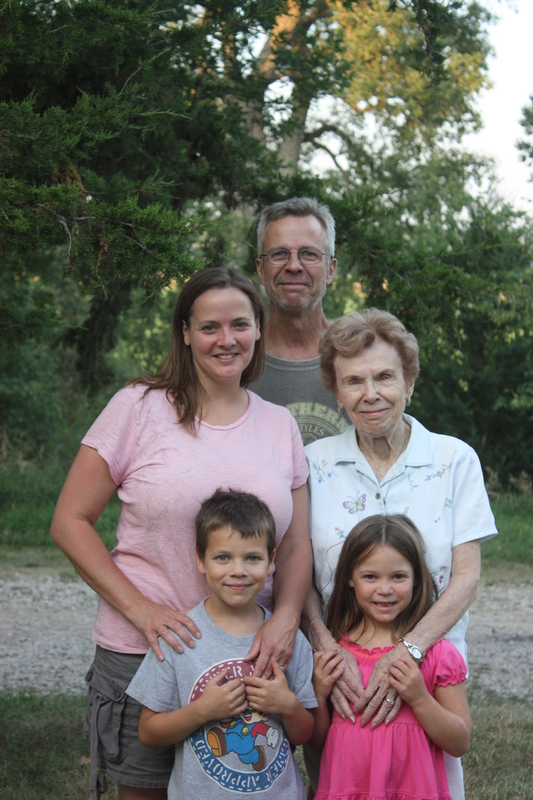 I can remember running from our one room schoolhouse into their giant green and white van, where we would hide under blankets in the very back as my Grandma drove to Hormel to pick up my Grandfather at the end of his shift. He of course knew we were there, but would make us giggle with curmudgeonly statements like, “Are those pesky grandkids coming over today?” Then we’d go to their house where he’d let us shoot him with styrofoam pellets that made his false teeth fall out (which made us squeal with delight) or whip us at Monopoly (which would make me weep with frustration). Grandma nursed our earaches, fed us dinners, and tried (unsuccessfully) to teach me to sing on key. They were a huge part of our childhood. The distance makes it hard, but our kids already have memories hard-wired into their brains. With Grandma Cox: Marshmallows and M&M’s. Bike rides to the park. Playing Sniggle. A basement full of toys and annual trips to the zoo. 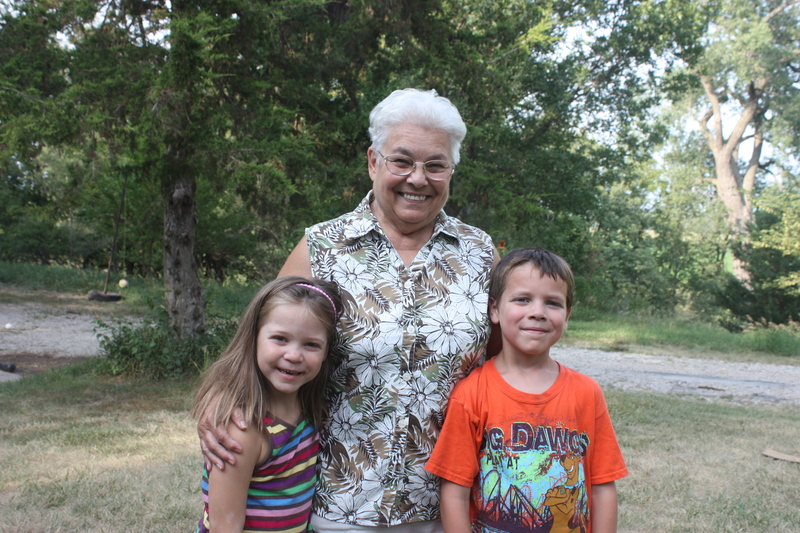 With Grandma and Grandpa Quigley: truck rides through the pasture, picking cucumbers, catching fireflies, trains, feeding kitties, the tetherball poll, and (after this year!) the swimming pool. Actually, who knows what they will really remember. These are just my predictions, but kids always surprise us. All I know is this: they will remember. And that’s all that matters.